Planning to visit Honduras anytime soon? (Take me with you!) Here are 5 of our top things to do in Roatan, Honduras. 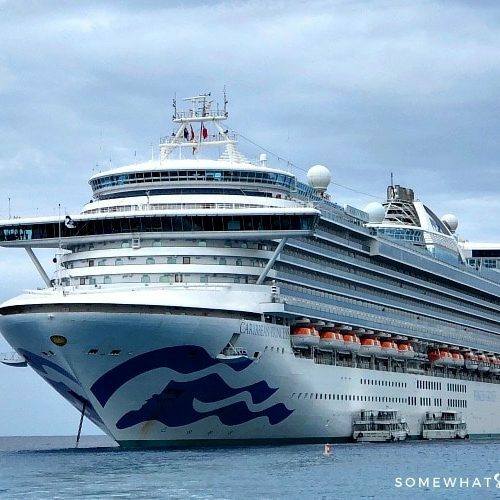 This post is in partnership with Princess Cruises. All opinions are 100% my own. 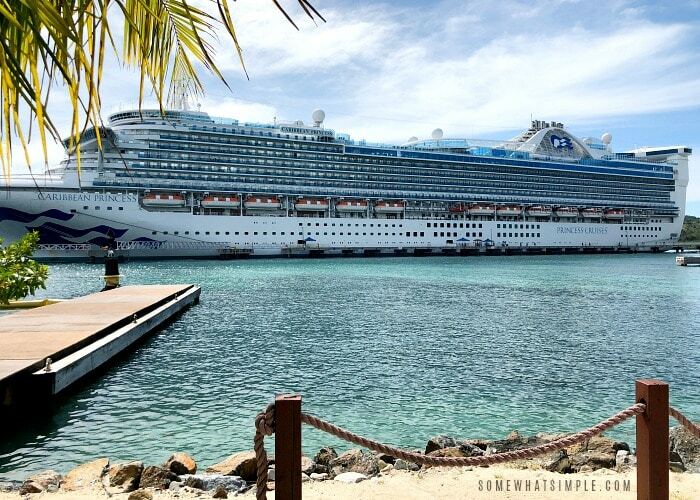 Recently, my husband and I had the opportunity to visit the Western Caribbean with Princess Cruises. After enjoying a relaxing day on the boat, drinking one too many Dirty Monkey mocktails, it was time to enjoy the ports. 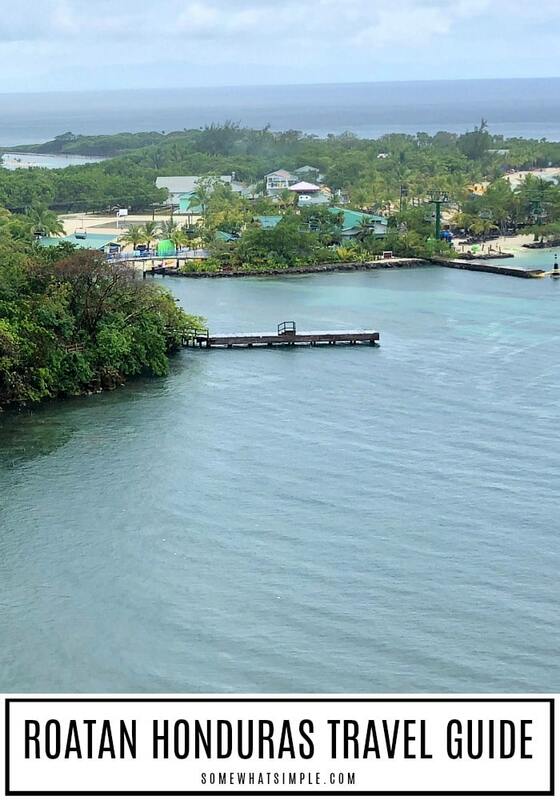 One of the stops on the cruise was Mahogany Bay on the beautiful island of Roatan, Honduras. 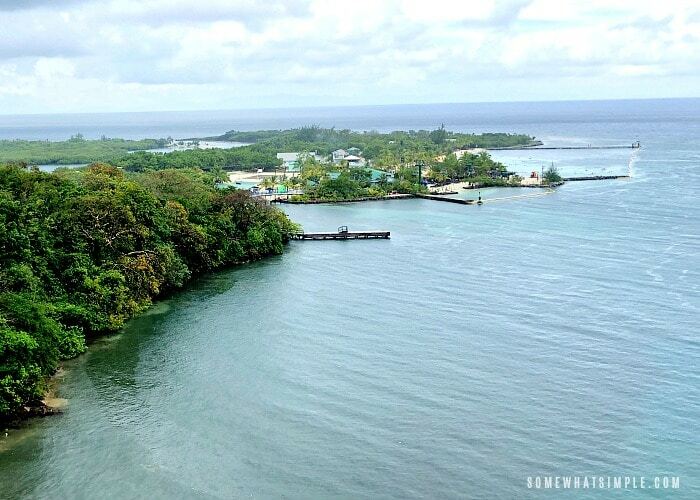 This was our second visit to this gorgeous island, and it happened to be my very favorite port on both cruises we did. Let me tell you a little bit about the island and why I love it so much! Roatan is located approximately 40 miles off the northern coast of Honduras in the Caribbean Sea. Several years ago we went on a zipline tour in port on a Caribbean cruise and we have been hooked ever since. 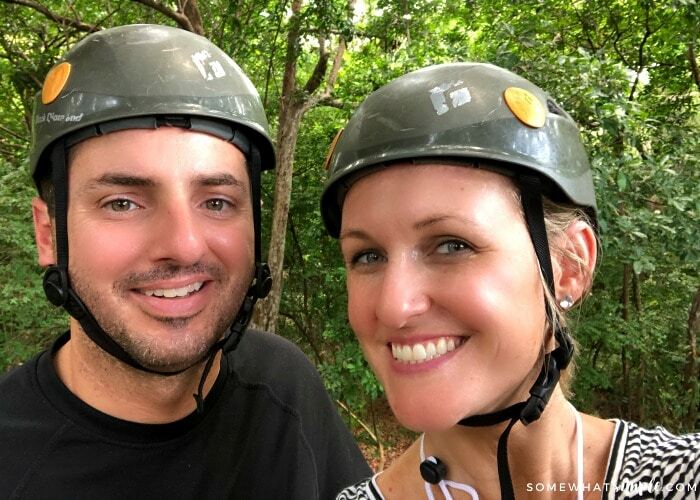 After doing a little research before our cruise, we decided to do the zipline tour in Roatan because it had the highest and longest ziplines of all the ports. The zipline tour is literally located across the street from where the ship docks, so it is super easy to get to. Once you have your harnesses on they’ll drive you up to the top of the hill where you will start your adventure. They have two zipline courses you can do and I highly recommend the extreme zipline adventure. The extreme tour just means the ziplines are a little higher and longer than the express tour. Trust me, once you ride one zipline, you will never want to stop! Altogether, you will travel over a mile and a half on six ziplines as you fly through the trees. We have done several zipline tours and this was easily the best one we have ever done! Many years ago we were in Roatan on a family cruise and swam with dolphins while we were there. It was absolutely amazing being out in the lagoon with the dolphins swimming around you. You will get up close and personal with them and the pictures you’ll take will definitely be Instagram-worthy. If you are looking for a relaxing beach day, then Mahogany Beach is the place for you. The beach is free if you are a cruise passenger and is an easy walk from the cruise terminal. If you prefer, they also have a chairlift you can take from the terminal to the bay for a small fee. Once there, you can claim your spot on the sand and relax, or, if you’re looking for something to do, they have plenty of beach toys to rent. The water in Roatan is warm and absolutely gorgeous! One of the world’s largest reefs is located near Roatan so the scuba diving and snorkeling is a first-class experience. There are several tours you can book that will take you to the most beautiful dive spots Roatan has to offer. If you want to get out and experience the culture of Roatan, I would recommend taking a tour of the island. 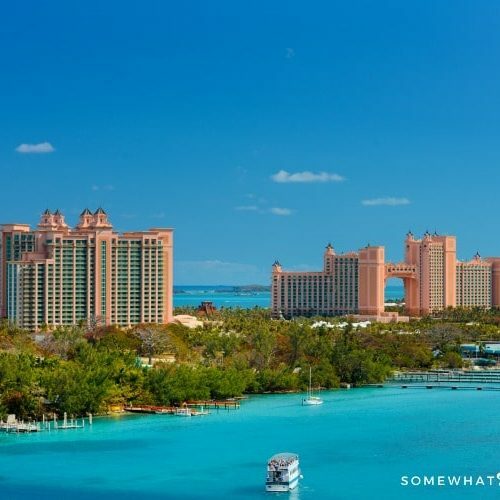 The scenic views and beaches you’ll visit will be absolutely breathtaking! Along the way you can stop and enjoy native cuisine at a local restaurant or pick up some souvenirs at one of the many artisan shops. 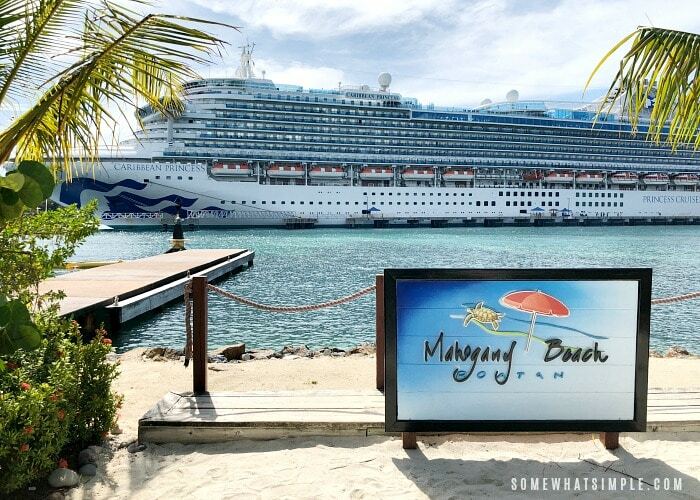 Click HERE for a full list of excursions offered by Princess Cruises in Roatan. We hope your adventures in Honduras are amazing! This post is sponsored by Princess Cruises. 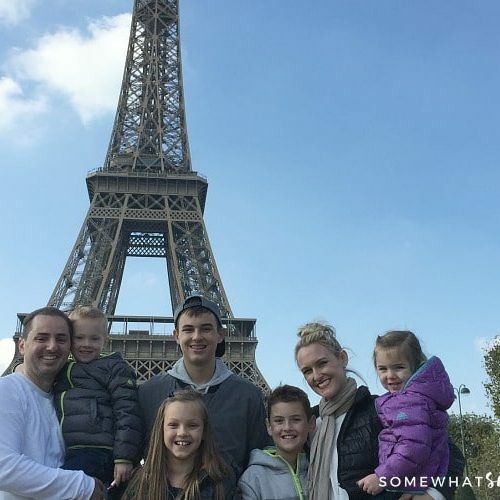 Thanks for supporting our sponsors so we can continue to provide family-friendly travel content to Somewhat Simple.